You are here: Home / All posts / Online mental health services for children and young people: One size does not fit all! 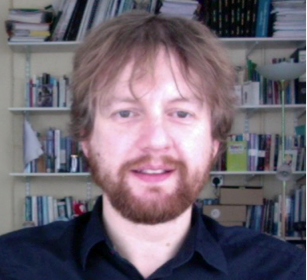 In this blog Dr Terry Hanley, Senior Lecturer in Counselling Psychology at The University of Manchester examines how his experience of developing an online counselling service for children and young people led him to research into the benefits and drawbacks of online mental health services. The ease of accessing online counselling services often makes them the first port of call for young people in distress. The research shows that these services can provide similar impacts on people’s lives as face-to-face equivalents. The research demonstrates that young people want to seek support online and that high-quality support can be offered in mediated ways. Though this needs to be offered in addition to face-to-face services. Children and young people seeking support around mental health issues need to be able to access trusted online services that have appropriate professional support along with face-to-face services. In the early 2000s, I was involved in the development of an online counselling service that was free at the point of delivery for young people between the ages of 11 and 25. Developing this became a necessity as the young people who used the service increasingly contacted the offline service via the Internet. In doing so my colleagues and I had to navigate unchartered waters and find new ways of working. Ultimately, this led me to complete my PhD work in partnership with KOOTH.com (an online counselling service that has become hugely popular) that focused upon young people’s perceptions of using online counselling services. Since then, a strand of my academic work has focused on online mental health services for young people. In particular, I have been involved in looking at how young people use online counselling services and online mental health forums. Online counselling services prove popular with young people and receive a great deal of traffic. The anonymous nature of these services, alongside the ease of access, makes them a first point of call for some young people in distress. They also appear to attract different groups of young people to them than face-to-face ones (including those who have more distressing issues to discuss and possibly individuals from minority groups). Further, the services they provide can have similar impacts on people’s lives as face-to-face equivalents and young people report creating very good relationships with therapists online (). It is important to remember however that it is a complex arena to assess, with it being near most impossible to control for variables in naturally occurring online environments. Creative evaluation methods, therefore, need to be adopted. Online forums for mental health support can be fruitful areas for young people to receive support (information and emotional support). These are areas that young people can proactively learn about life issues without substantial amounts of professional/adult support. Thus, they have a lot of potential to provide respectful supportive environments that acknowledge that young people are active agents in the decisions they make. The role of professional moderators does however seem important for keeping young people interacting in constructive positive ways. Thus, it seems important that organisations and professionals that are involved in the delivery of such support offer trusted interventions (possibly harnessed under familiar well publicised brand names) that young users can be confident in. This is a very brief snapshot of the work that we have completed within the Manchester Institute of Education. It includes projects in which young people have been consulted directly and a series of systematic reviews of the existing literature. This work has been collated recently to provide a response to the select committee consultation entitled: ‘Impact of social media and screen-use on young people’s health’. Fundamentally, I hope that our response can help get away from the view that technology is a problem or a panacea and that a true discussion can occur about the way technology will impact upon mental health provision. Trusted online services that have appropriate professional support (i.e. trained professionals who understand the media in question), need to be available in addition to face-to-face services. Dr Terry Hanley is the Interim Director of Social Responsibility for the School of Environment, Education and Development (SEED) and the Programme Director of the Doctorate in Counselling Psychology within the Manchester Institute of Education. He is co-editor of ‘The SAGE Handbook of Counselling and Psychotherapy’ and regularly presents at national and international conferences on therapeutic issues relevant to children and young people. He currently volunteers as a Football Therapist with the charity ‘Freedom from Torture’ in Manchester.